Occupy the Midwest: What to bring to the conference? What to bring to the conference? 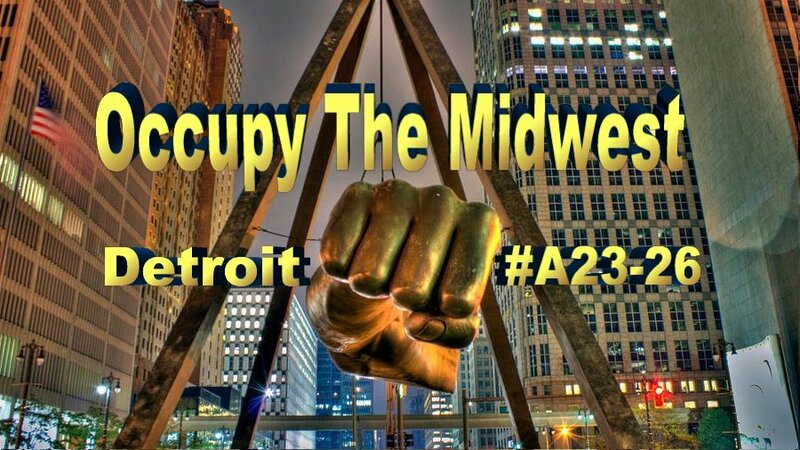 If this is your first Occupy The Midwest Conference or you are just unsure what you need to bring with you, go over this checklist to be prepared and ready to go when you get to Detroit. At the very least you will need a sleeping bag, or large blanket. Most of the housing locations provided will be outdoors so be prepared to face the elements. If you could bring a tent or pop up canopy it would be suggested. There is only a limited number of spots available for indoor housing, so we can't guarantee anyone those spots ahead of time, so they will likely be based on need, not first come first serve. There will be some meals provided during the conference, but at best it would likely be about a meal a day. Either bring some food with you for lunch and in between events or a few bucks to grab a bite to eat. If you have any dietary restrictions contact us at occupythemidwest@gmail.com and we will be happy to accommodate you. There will be water available during the conference but to go along with the theme of the conference "Another World Is Possible", we want to avoid buying cases and cases of bottled water so please bring a water bottle with you. Many of the activities are taking place in different locations. We are going to try as much as possible to keep people and one or two locations, but for events that you want to attend at other locations you should bring a little extra money for public transportation. We are also working on setting up shuttles. This conference is completely configured to YOU, the participant. The world that we build is up to you, the active participant, so have some ideas ready to share, and keep your mind open to others. We look forward to what we will be able to accomplish together this weekend and we hope you are excited as we are. To prepare is quite the logical thing to do when attending conferences. When I attended a conference in the Philippines, I also planned the remaining days to tour the scenic spots, I utilized the promos offered by air philippines flight. One of the difficulties faced by someone who's interested to move would be to move their furniture. The solution would be to hire transport or freight services.